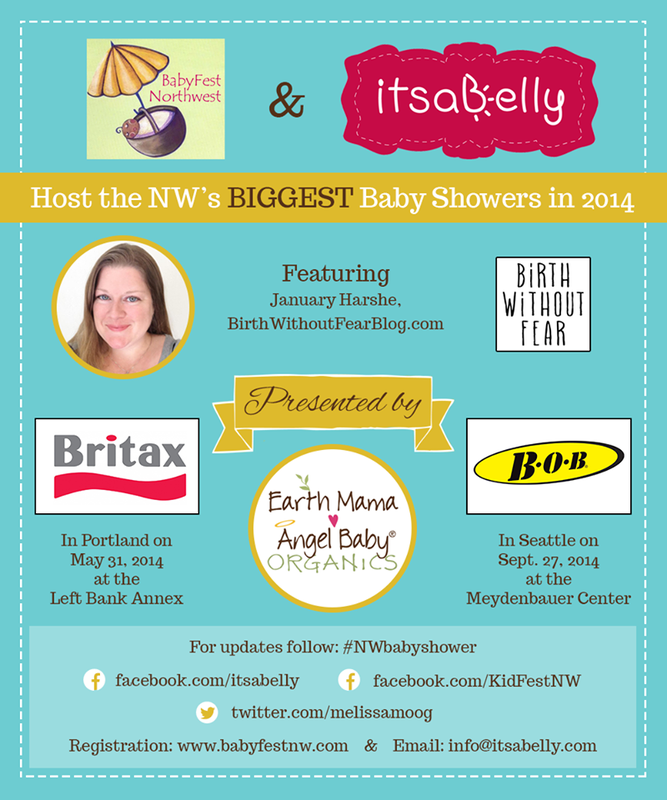 A Cloth Life: NW's Biggest Baby Shower! To read about my experience at this event, click here. I'm so excited! I just bought my ticket to the NW's Biggest Baby Shower. This is not a sponsored post, I totally spent my own money on this, and I'm promoting this because I AM JUST SO EXCITED! Seriously. I got lucky and managed to see a post that Kim Rosas shared about this on her Dirty Diaper Laundry Facebook page. I'll be just over 8 months pregnant when this rolls into town, but I just cannot turn down the opportunity. First off - I love these type of events. So. Much. Fun. Secondly, I truly LOVED getting to meet and hear January speak at MommyCon last year. And now I get to see her speak again! My husband might think I'm a little too excited for this, but I don't care. I AM EXCITED! Individual tickets start as low as $20. VIP passes cost significantly more, but the amount of goodies included in the gift bags you'll get totally make up for it, in my opinion. I'll be honest - I went all out and bought myself a Premium VIP pass. The Ergo Baby carrier alone makes the price worth it. I honestly have no idea how this event is not already sold out. It makes no sense to me. It is going to be amazing - I'm sure of it. I'll be attending in Portland, but they have another expo/conference scheduled for Seattle this fall. Let me know if you decide to go! I'd love to meet up with you there and put together a ridiculous collection of selfies. Have you ever been to a mom conference like this before? Could you possibly be as excited for this as I am? Edit: There is now a giveaway for a free pass starting today (4/23), and running through 5/7. Enter for your chance to win, and I'll hopefully get to see you there! Click HERE to check it out!